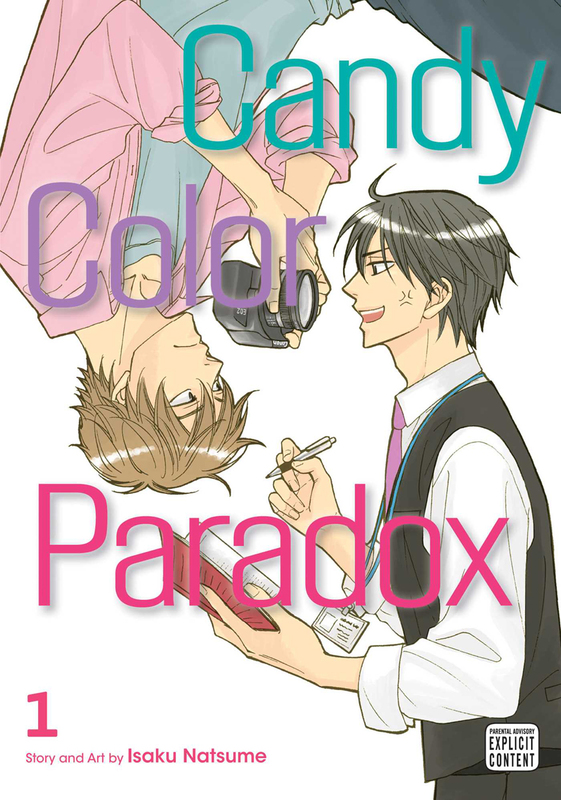 Candy Color Paradox Manga Volume 1 features story and art by Isaku Natsume. Reporter Onoe and photographer Kaburagi constantly bicker and argue on their stakeouts, but will their antagonistic behavior paradoxically evolve into something sweeter? Satoshi Onoe prides himself on his good writing and ethical reporting for the weekly magazine he writes for. But when the stakeout teams are shuffled around, he ends up being paired up with Motoharu Kaburagi, an ill-mannered photographer who’s nothing but trouble. Onoe despises Kaburagi’s haphazard and unethical reporting methods, and the two constantly fight. But as they spend more time together, Kaburagi’s two-faced attitude makes Onoe begin to see him in a different light.